Our glassware selection at Say It With a Gift is beautiful and practical. Select from versatile mason jars suitable for any ocassion, sturdy stemless wine glasses, elegant wine glasses, to fun beer mugs, and slender pilsner glasses. Engraved with white etching, these elegant glasses are perfect gifts to celebrate many special ocassions. Perfect as birthday gifts, anniversary gifts, prizes, wedding gifts for the couple, bridal party and even the guests, holiday gifts including Christmas and New Year, the possibilities are endless! Unique and stunning jewellery boxes are sure to impress, and mirrored certificate boxes make for exquisite prize gifts at graduations, wedding gifts or heartfelt gifts for new parents. 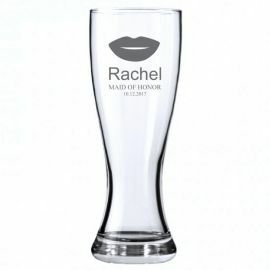 Say it more by having your very own message engraved on your glass gift amidst a choice of any beautifully crafted design, creating a gift treasured by your loved one or yourself! At Say It With a Gift we search to keep expanding our selections and providing beautiful creative personalised designs. We hope you enjoy your shopping experience with us today!